The role of communities in building resilient health systems is complex and ever evolving. While two days is certainly not enough time to address all of the issues around communities and resiliency, Cracking the Nut Health was a great start. 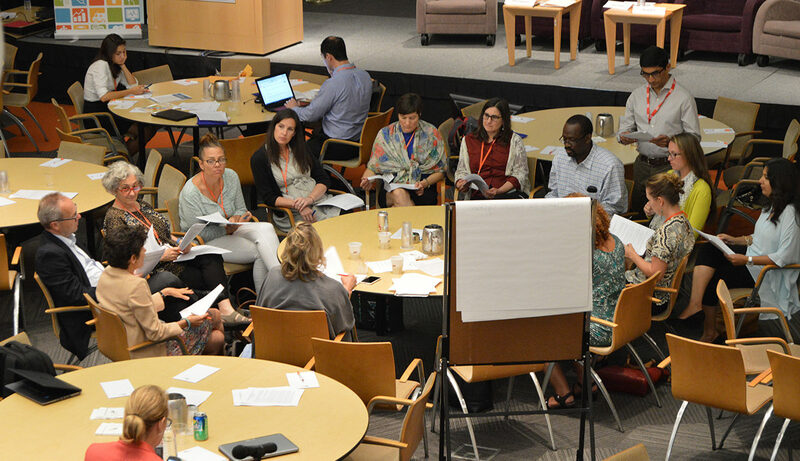 In the past month and a half, we hope that participants have taken the time to muse over the many discussions at this learning event, and started finding opportunities to incorporate these ideas into ongoing work. We are pleased to announce that the conference publication from Cracking the Nut Health: The Role of Communities in Building Resilient Health Systems is now available online. The publication synthesizes the main lessons learned from the conference and highlights specific cases of innovative methodologies and technologies presented at the conference. What matters most to people in terms of access to primary health care? How can we make health services more responsive to what users want? What community engagement models and methods are most effective and sustainable in effecting long-term positive health changes (e.g., improved hygiene, nutrition, etc.)? What drives successful community buy-in? What community actors are best situated to play key roles in the process? What innovative assessment methods are being used to understand community preferences? What can the private sector teach us about how to ensure health care is responsive, efficient and client-focused? What tools can help to put health care users in the driver’s seat of health care decisions? How can local, regional and national governments benefit from people-centered design methods? What are appropriate roles for unsalaried community health workers, such as traditional birth attendants, in managing and delivering care? How can we improve access to care, the range of services delivered and efficiency by including health careusers? © Copyright 2019 Cracking the Nut Health. Website designed by Elizabeth Rae Moar. Education Zone by Rara Theme. Powered by WordPress.